Did you know that TVS Srichakra produces close to one lakh tyres in a day? 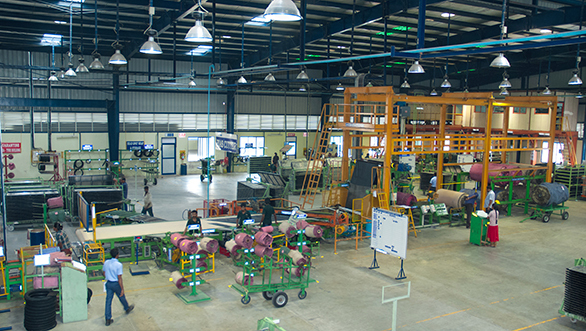 Did you know that one of the company's plants processes 500 tonnes of rubber everyday? There are some of the facts that I discovered during my recent visit to the TVS Tyres' Madurai facility. The intention of the trip was to make us auto journalists understand the nuances of manufacturing a tyre, the processes and the technologies involved in doing it. The plant visit was divided in two parts. The first was to make us test their updated range of two-wheeler tyres while the second part was to let us experience the manufacturing process. We were taken on the company's test track that is located not too far away from the plant. Interestingly, it is exactly behind the TVS Matriculation Higher Secondary School. Fun for the students, I believe. However, we were here for a more serious role. 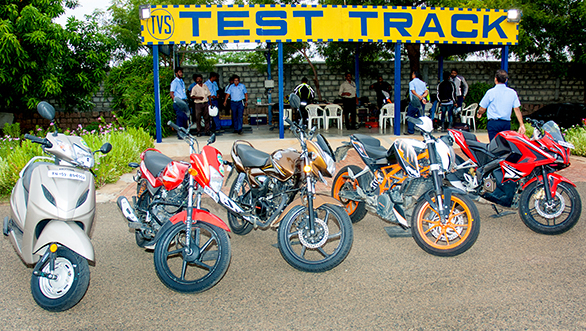 TVS Tyres had the Honda Activa 4G, Shine, previous-gen KTM 390 Duke and the Bajaj Pulsar RS200. The tyres on the commuters, as claimed by TVS Tyres, have been worked upon to increase its efficiency and longevity. 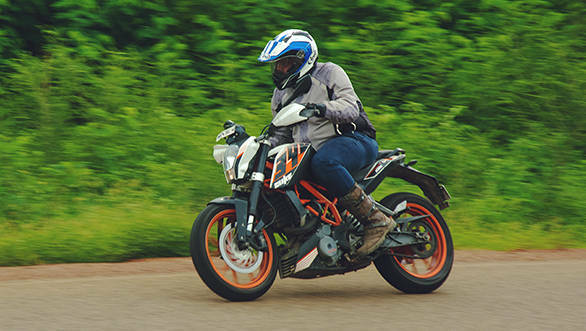 Since we were on a test track where traits like cornering and braking could be tested, we chose to put the KTM 390 Duke and the Bajaj Pulsar RS200 to the test the Remora and the Protorq series of tyres fitted on these motorcycles respectively. Starting with the Bajaj Pulsar RS200 that was running on the 100/80 R17 (F) and 130/70 R17 (R) Remora series, the layout of the test track is reasonably simple and it does not have multiple series of turns. Additionally, we had two to three laps to understand the performance of these tyres. The Remoras on the Bajaj Pulsar RS200, when ridden on the straight, gripped the tarmac decently. They offer equally good braking too. Not the best for sure. The only let-down about these tyres was the low grip while riding in corners, which affects the confidence to push the motorcycle harder. 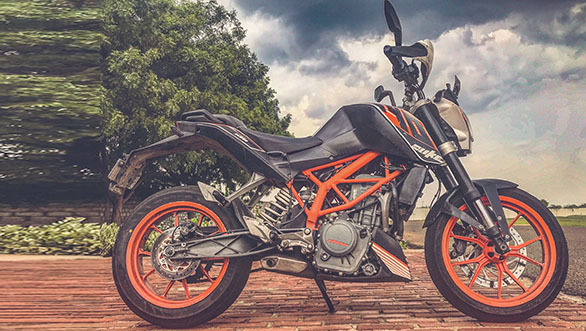 Second was the KTM 390 Duke. This one was shod with 110/70 R17 Protorq CF in the front and 140/70 R17 Protorq-CR in the rear. 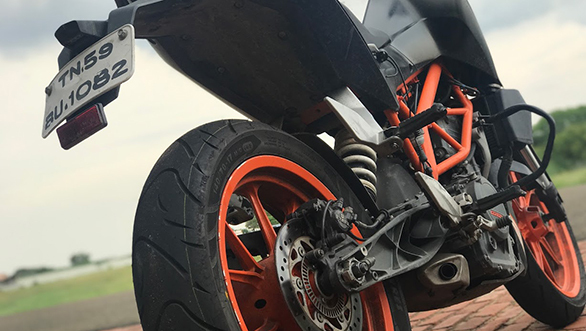 On the straight section, the Protorq CF proved to be really impressive as the grip levels were better than the Remoras that were fitted on the Bajaj Pulsar RS200. Even at high speeds, one can feel the difference because of its lighter weight. However, the area where it excelled over the Remoras with a great margin, is cornering performance. The Protorqs held on to the tarmac at angles and that made us push the tyres to its max by entering the corners at higher speeds with greater confidence. 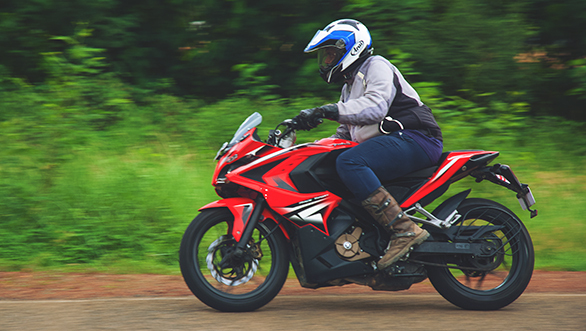 We also replaced the Remoras with the Protorq on the Baja Pulsar RS200 to verify its tyre and not the motorcycle that was making us skeptical about taking corners at higher speeds. With the Protorq, the RS200 felt more agile and confident on both straights as well as corners. Bajaj Auto, Hero MotoCorp., HMSI, Mahindra 2-wheelers and TVS Motorcycles are some of the two-wheeler brands that the TVS Tyres cater to. The sprawling plant in Madurai is spread over an area of 2.5 lakhs sq. mts, that employs more than 2,000 people. The company manufactures over 2.5 million tyres every month. It all starts with the arrival of raw materials from different vendors. These raw materials are differentiated with the help of colour coding and badge numbers. 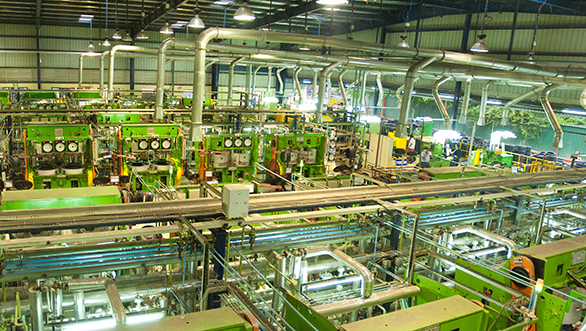 While there is human intervention at multiple stages, the TVS Tyres plant is largely automated. The different compounds such as repsol wax, paraffin wax, calcium carbonate, PVI and others are mixed into the rubber in fixed quantities as prescribed by the calculations done by the R&D section. Once the mixture is ready, it is made to go through calendering which is basically converting the dough like mixture into thin sheets by making it pass through rollers. It is at this stage, that Nylon sheets are added to the sheets by sandwiching them between the rubber layers. Nylon effectively acts as the backbone of the tyre giving them strength and structure. Post the addition of the Nylon, the sheets are then packaged with the help of polypropylene handling sheets, which help avoid sticking of the rubber due to expansion. At a different section in the plant, steel beads are prepared. These beads essentially offer structural rigidity to the side walls. The sandwiched sheets and the beads are then assembled together to form a green tyre wherein the tyre has still not taken its final shape and the compound has a soft construction. These are then placed into the mould that has the desired tread pattern along with labelling of the tyre size, speed rating and other specifications. Post the placing of the green tyre and a rubber bladder in the mould, the tyres take their final shape with the help of curing process. Once the rubber starts expanding due to increased temperature, the air entrapped inside the mould is let out which results in the small spikes that one sees on brand new tyres. 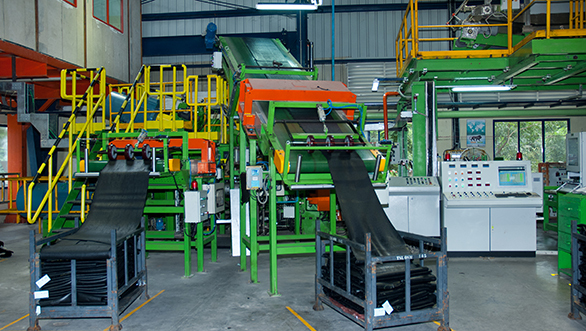 There are also a host of QC processes that are done at various stages of manufacturing a tyre. TVS Tyres recently showcased their Off-Highway and two-wheeler range of products at the Krishi Darshan Expo that was conducted by the Ministry of Agriculture and Farmers Welfare, Department of Agriculture Cooperation at Northern Region Farm Machinery Training and Testing Institute, Sirsa Road, Hisar (Haryana). Speaking on the participation at the Krishi Darshan Expo 2018, P. Vijayaraghavan, Director, TVS Srichakara Ltd. said, "It gives us great pleasure to participate and showcase TVS Eurogrip range of Off-Highway tyres at the Krishi Darshan Expo, this is our first time at this exhibition. TVS Eurogrip range of Off-Highway tyres have a strong footprint in more than 70 countries across the globe, and our participation in this expo underscores our commitment to reach out to our customers in India too."